There are so many options for ways to spend our kids’ time in the summers. There are camps and sports, the pool… so many options to get them away from the screens and keep them active. Theater doesn’t necessarily come to every parent’s mind when thinking about summer activities, but after interviewing participants of this summer’s library outreach program, we heard the same words coming up: great exercise, good fun, a chance to be out front and on stage, and a fun way to bring books to life! 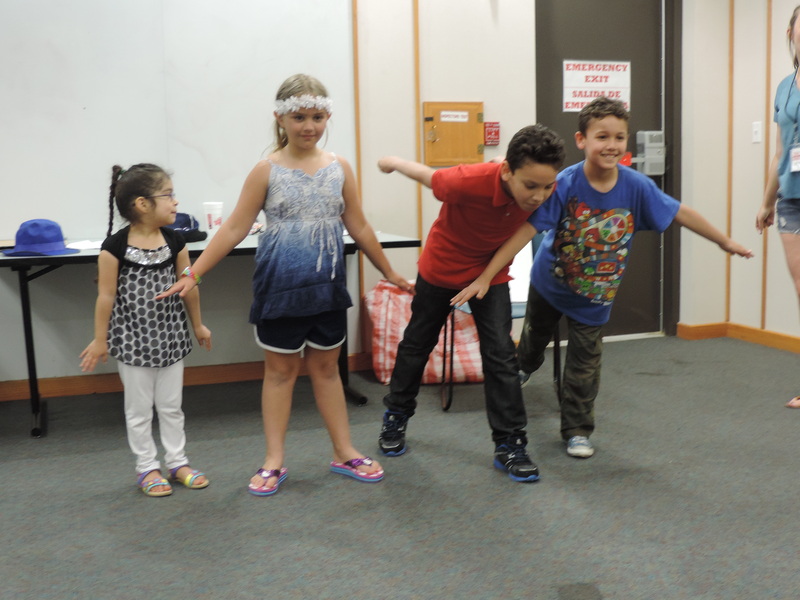 DCT enjoys a close collaboration with the Dallas Public Libraries, providing local performances and tickets in conjunction with the Mayor’s Summer Reading Program, and also taking trained teaching artists to area libraries to bring theater to local children at no cost to their families. Kids and their instructors were all smiles when we asked them about their experience this summer exploring THE MUSICAL ADVENTURES OF FLAT STANLEY. They would have the book read to them, then they would talk through it together, learn two of the songs, and then receive costumes so they could recreate the story on their own. 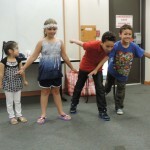 For most of these kids, this is their first exposure to theater. Many of these kids are super shy, and for some of them English is a second language, but they dove in, had fun and made new friends. Once they discover themselves on stage, they can’t get enough. Ramsey Kelly, one of the instructors explains, “Parents are coming up to us afterwards, almost at every location and asking us how and where their kids can experience more theater. I don’t think some people would necessarily know how to get involved in theater if we didn’t go out into the community. I totally get that. I was one of those painfully shy kids who never spoke, ever, except to my small circle of friends, and tried my hardest to blend into the crowd (which was difficult as a 5’6 twelve-year-old). My parents never would’ve thought to enroll me in an acting program, and I never would’ve asked, but my friends signed up to perform a number from ANNIE in our annual talent show and kindly asked me to join them. I did it without hesitation and even sang a solo line on “Don’t it feel like the wind is always howling?” It was a whole new thing I could do, and I just had no idea. No one did, not even my family. And now, thirty (ish) years later, I have worked professionally as a theater artist on and off stage my entire adult life. 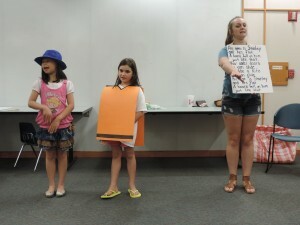 When we asked Ramsey what the library outreach program teaches, a huge smile came across her face and she said, “Teaches me or teaches the kids?” Learning never ends in theater to be sure whatever your age. 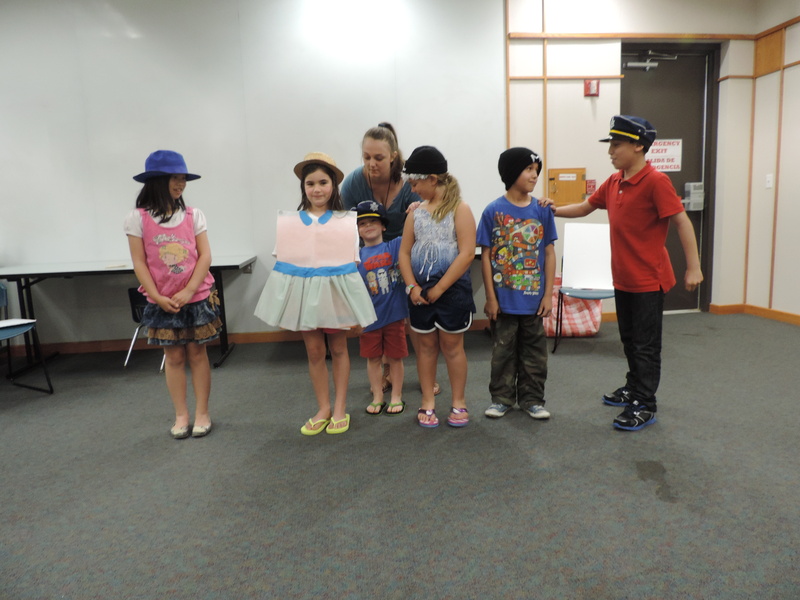 We don’t always know what the kids from the library will do with their newly discovered skills, but the action and interaction they experience when the theater comes to them is invaluable. The outreach program also takes the stage to all kids, and not just those kids who display that “it factor” when they utter their first words. DCT is happy to support the Mayor’s efforts in not only getting kids to read during the summer, but also creating a special space for kids to bring those beloved books to life.